Grapefruit bubble tea syrups used to make Grapefruit boba tea smoothies, Grapefruit boba slushies, and Grapefruit flavored green / black tea. 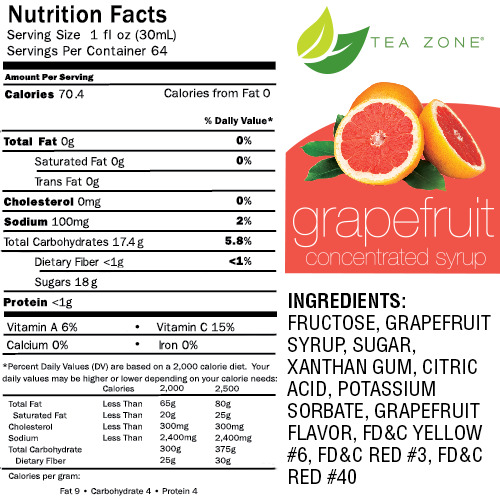 Grapefruit is a tart-y and tangy fruit which is rich with flavor and nutrients such as Vitamin C. Get a dose of delicious and healthy flavors in every drink you make with our Grapefruit Syrup. Since this sweet and tangy syrup is infused with rich Grapefruit flavor, beverages made with it will taste like the real thing. 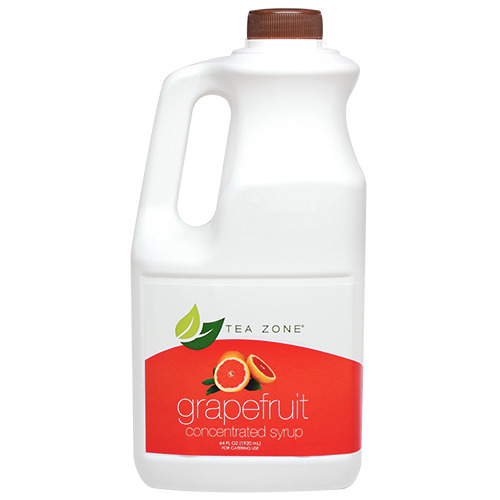 Create a refreshing grapefruit shake by blending this syrup with some yogurt, milk and lots of ice. Like this item? Try our Green Apple Bubble Tea Syrup!